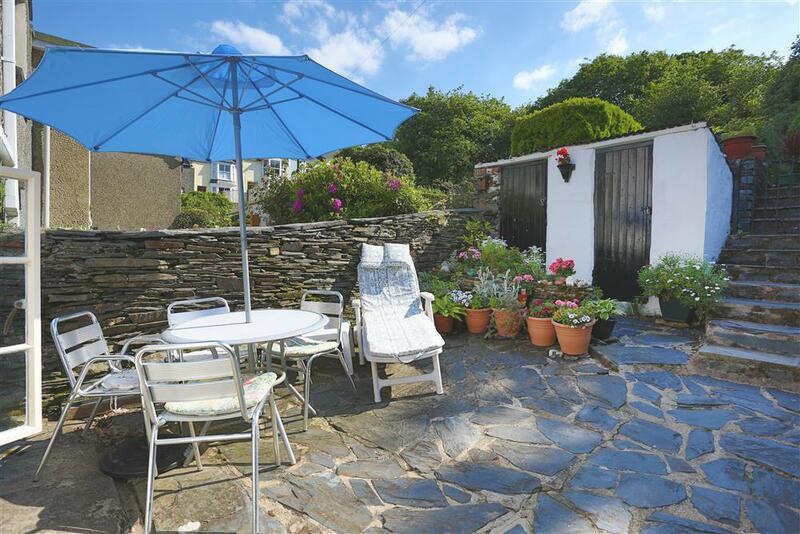 A minute's stroll from beautiful beaches and secret coves is 'Pump Cottage' in the heart of Borth y Gest. 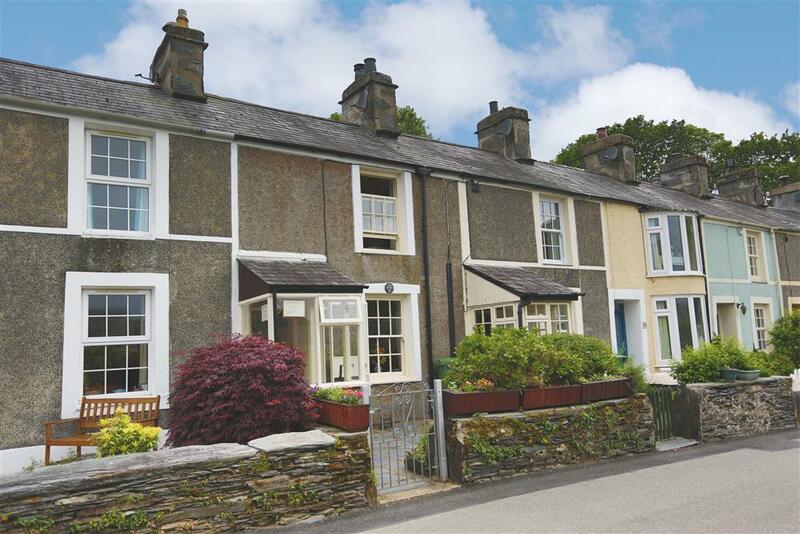 Built c1865, this small seaside terraced house has been in the family for a few generations and they invite you to share in their joy of Borth y Gest. Original features such as a brick hearth and traditional cottage furniture gives an authentic 'oldie-worldie' feel, however, a modern bathroom and kitchen has been fitted for guests' convenience. A 'suntrap' slate patio leads from the kitchen from where you have privacy to enjoy the sun. A separate elevated garden is set out with patio furniture for outdoor eating. Coastal walks from the house pass a small nature reserve, oak woodlands and lovely sandy coves. Borth y Gest is one mile from Porthmadog, where the Ffestiniog & Welsh Highland Railway station and Portmeirion also close at hand as are the mountains of Snowdonia, the village of Beddgelert as well as Harlech and Cricieth castles. 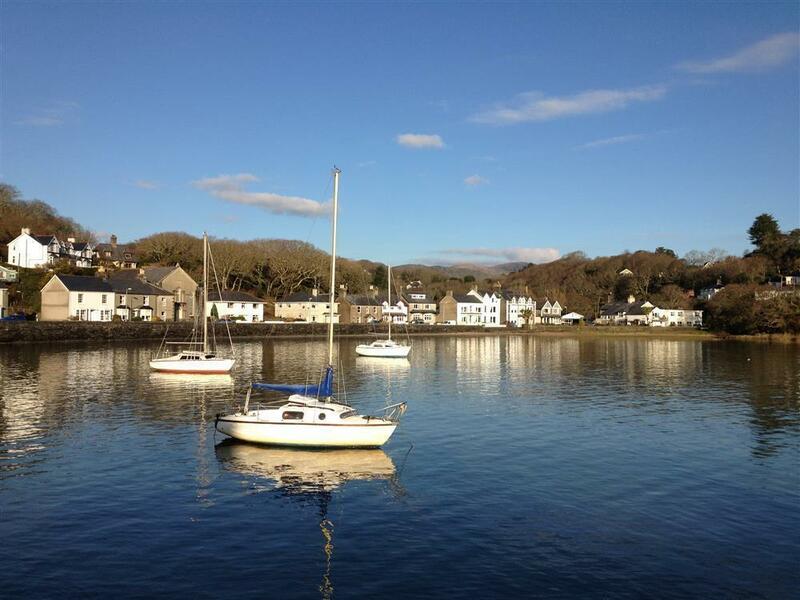 Borth y Gest has both a tea room and an excellent licenced restaurant nearby in the village. 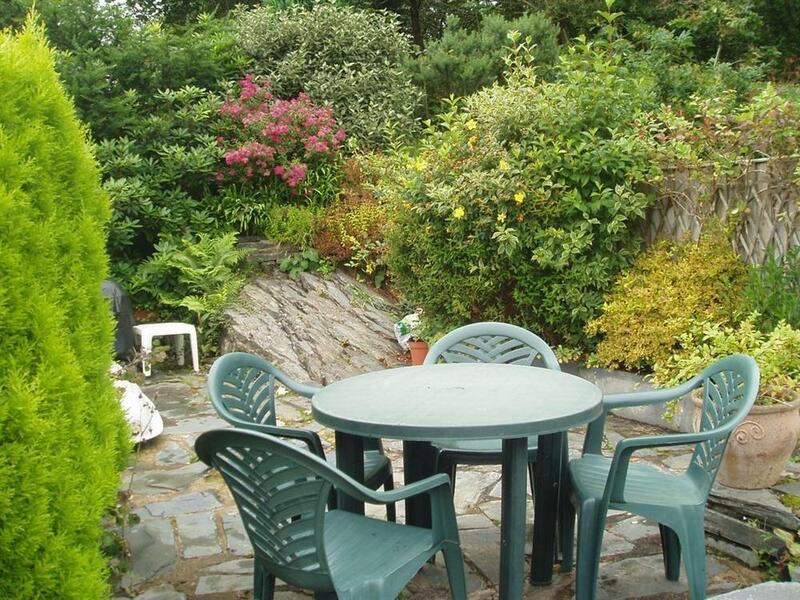 This is a good central location for a holiday property in North Wales. 2 BEDROOMS: Both with 2 single beds in each. One is compact. Shared hanging space on the landing. Bed linen available to hire, please bring your own towels and tea towels. BATHROOM/WC with shower over the bath. 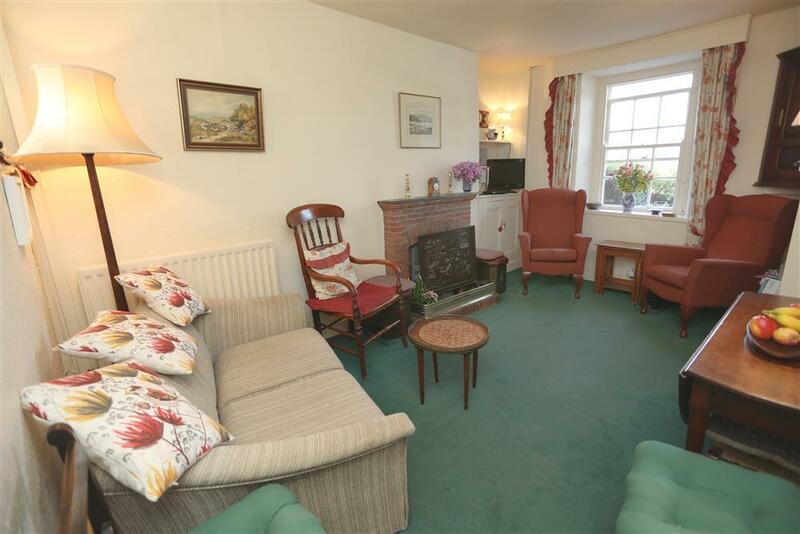 LOUNGE/DINER: Traditionally furnished with original fireplace for open fire, one small settee and two fireside chairs, folding table for dining, Freeview TV. 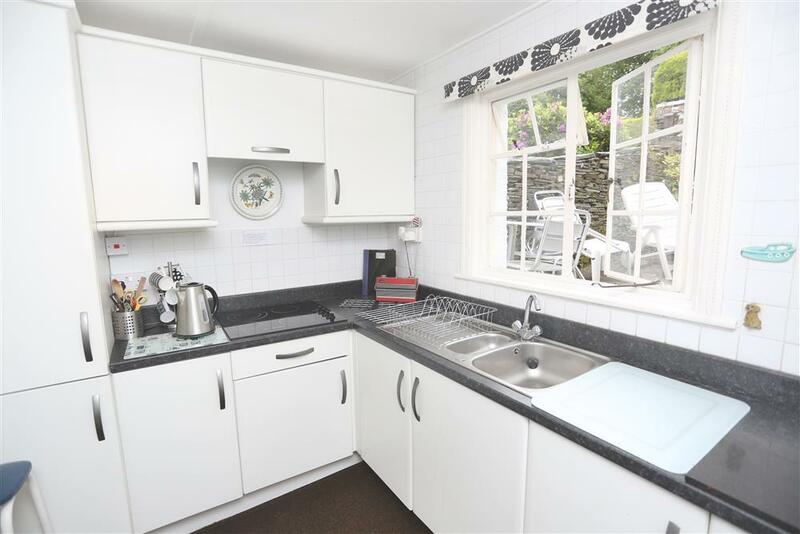 KITCHEN: Modern fitted units, electric hob and double oven, a large fridge, freezer, microwave. GARDEN: Enclosed slate patio outside the kitchen with barbecue and another separate enclosed garden just across a communal footpath. PARKING: Street parking directly outside. HEATING: Gas central heating and instant hot water from combi boiler. PETS: 1 large dog or 2 small by arrangement allowed. No pets upstairs. Mr H (July, 2018): "I recently stayed at Pump Cottage and the cottage was lovely, as was the weather. I have assured the owner that our early departure was for personal reasons and nothing to do with her delightful cottage. 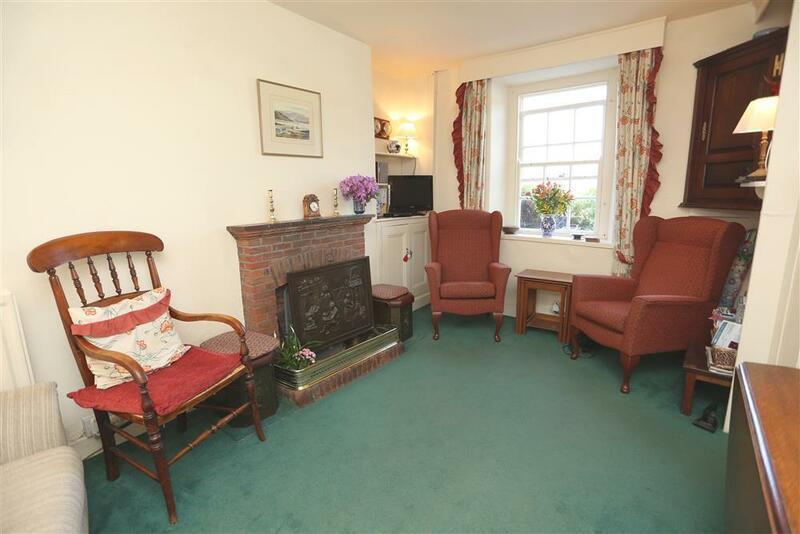 The cottage was lovely and we were so sorry to had to leave early." 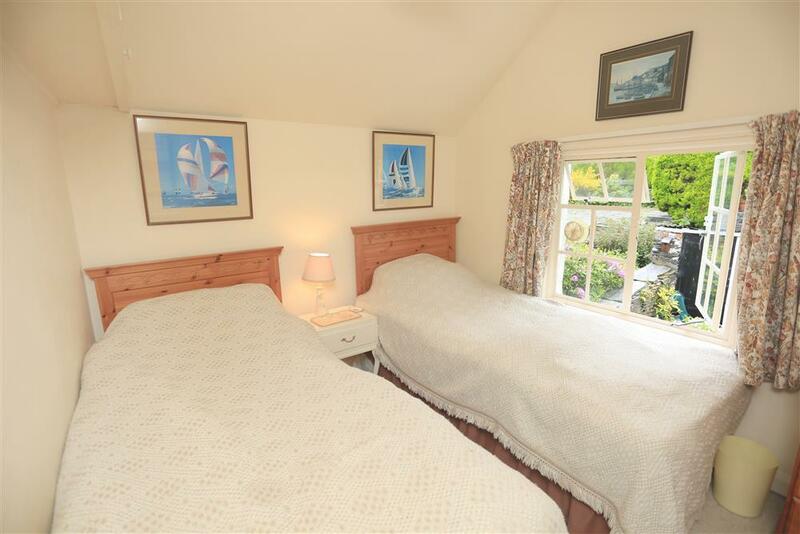 Mr B (June 2017): "The cottage is in a lovely position - just a 2 minute walk or less to the bay. 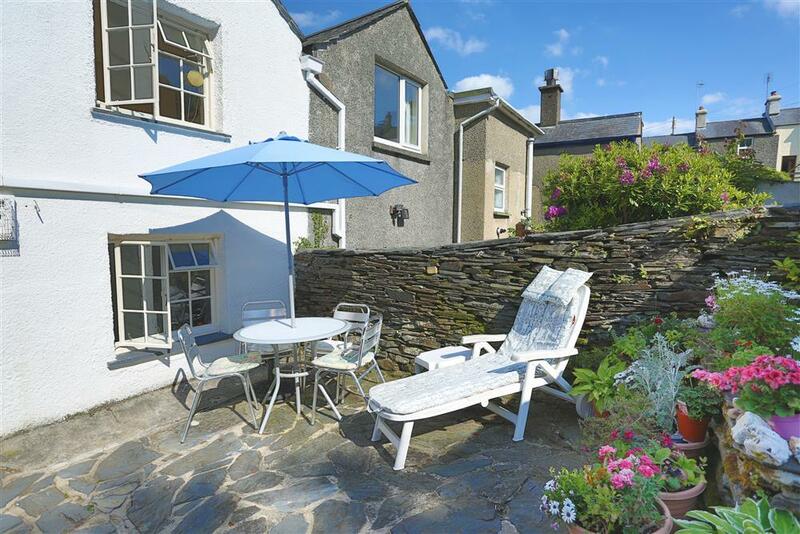 The cottage is well equipped with all you could need and we made use of eating outside in the rear garden. Best of all the peace and quiet. 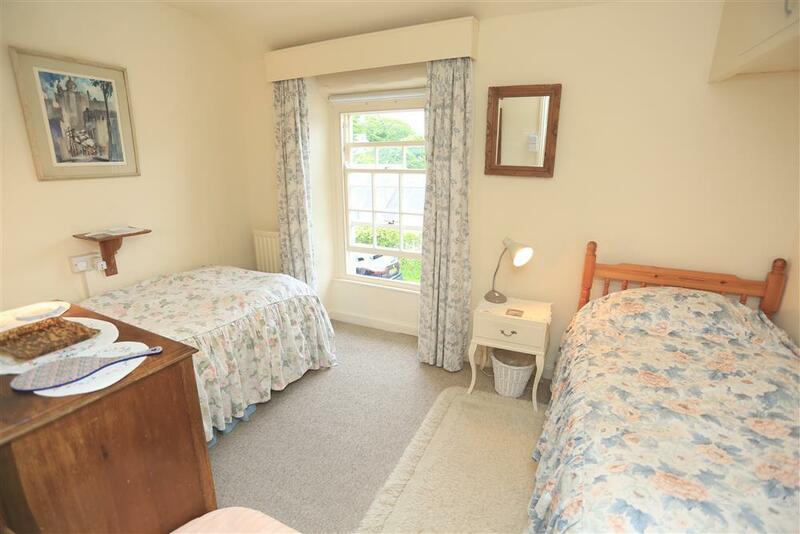 All 4 of us agreed that the beds were really comfortable too and the bath / shower lovely too. We would definately recommend." 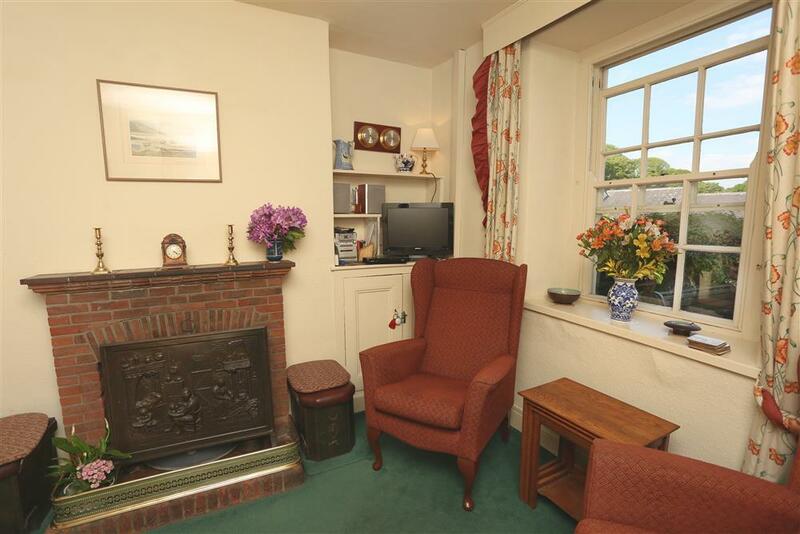 Visit Wales Comments (May, 2016): "A cosy terraced cottage located in the popular village of Borth y Gest. Housekeeping very good throughout." ACCESS STATEMENT: This is a two storey cottage. Un restricted street parking to the front. 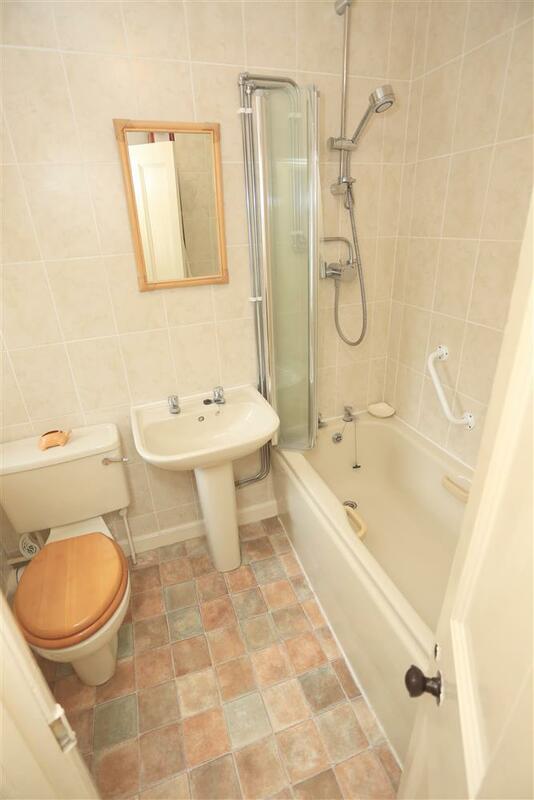 The bathroom is upstairs where there is a shower over the bath with a grab rail. The rooms are compact and not considered suitable for wheelchairs or walking aids. There are 3 steps from the kitchen up to the patio at the back. Another 6 steps to the next patio. The stairs are slightly steep and have a hand rail and rope on the wall for assistance. The front patio is level with the door. 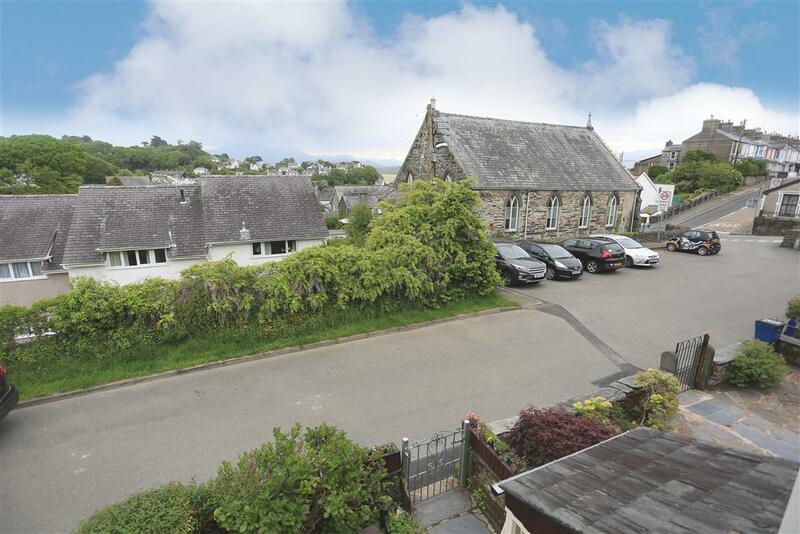 The cottage is in Glyn Terrace situated up a steepish hill from the bay and cafe.